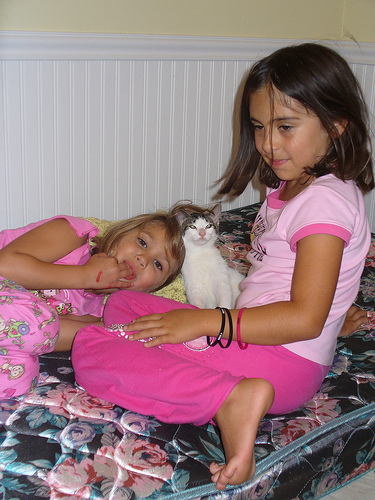 During the summer of 2007 we fostered a mother cat, who was about to give birth. 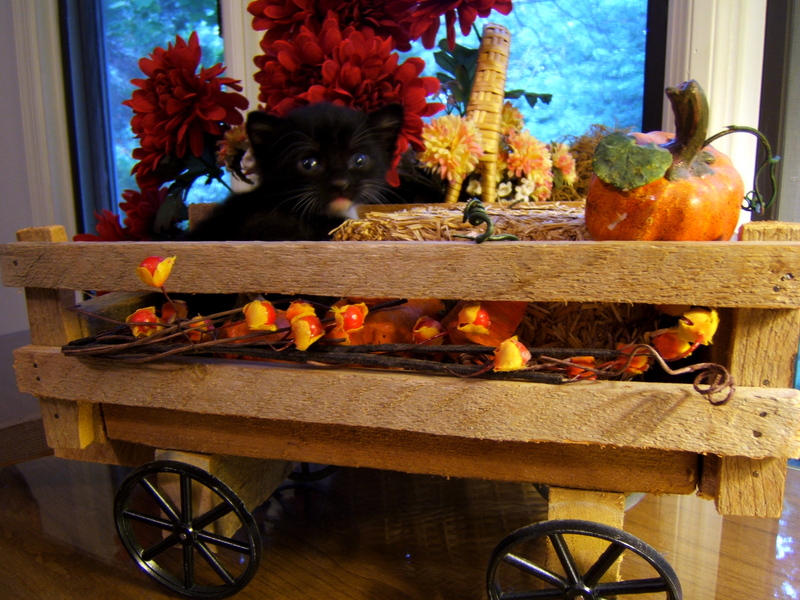 Her owner could no longer care for the mama cat as she still had her four kittens from a previous litter. 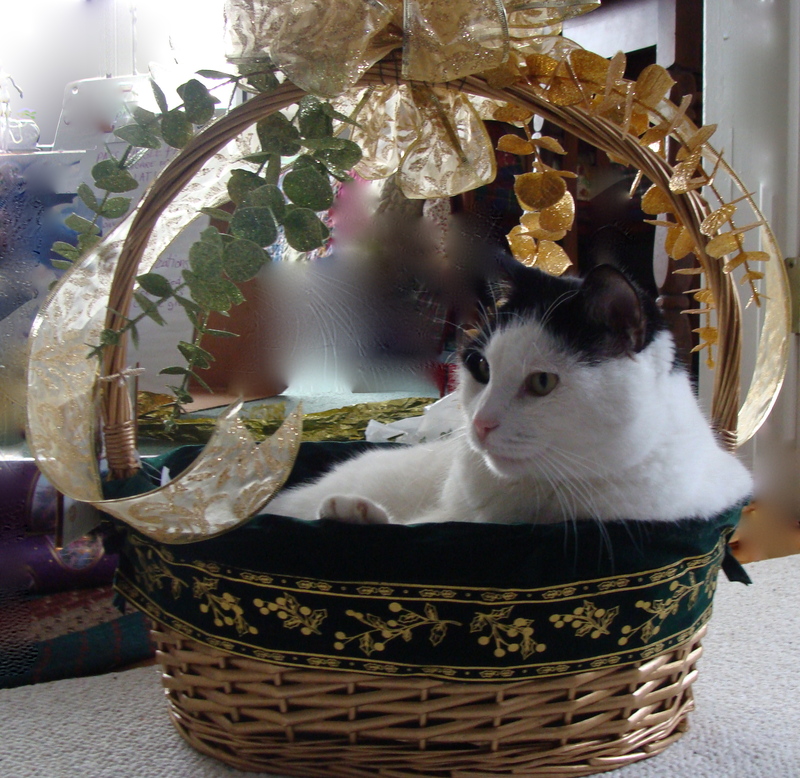 Living in a communal house with lots of people going in and out, her owner had little luck keeping the cat inside. 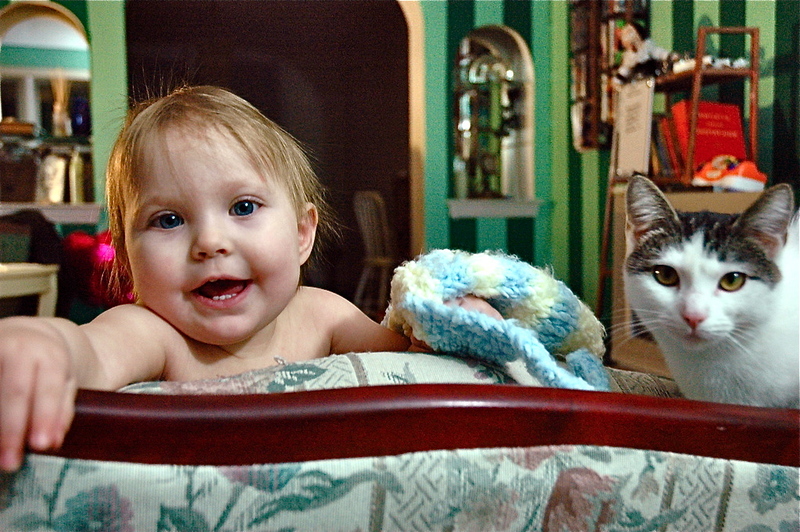 Already having kittens just five weeks before, was no protection from an unplanned second pregnancy. John, who was a friend of the owner, asked if we could take the mama cat, who would soon be sent to a shelter. Kittens were not in my current life plan and having no experience with this area, I didn’t think we could help out. Nevertheless, after meeting “Sylvia” we decided to take her in. 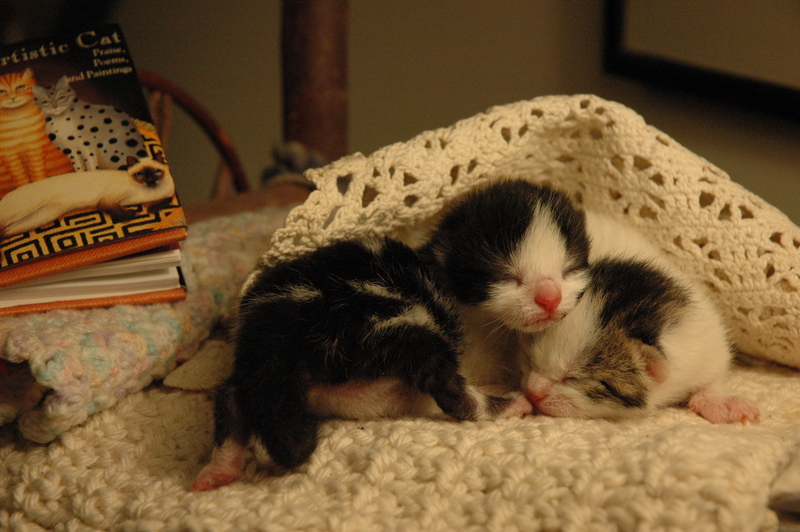 Not long after settling in at our house, she delivered her babies, which turned out to be an amazing process. We set up a box for her, which she accepted after trying other spaces around the house. She had four kittens in her previous litter so that’s what I expected this time. As each kitten arrived, she cleaned them up and kept her space immaculate. She was giving birth to number four, while cleaning number three and nursing the other two. I felt as a human mother, she had one up on me for motherhood. And the birthing didn’t stop with five and six. And yet she managed to keep up with the cleaning and nursing, and all babies seemed content and well. I thought she was done with the birthing when number seven arrived! I couldn’t believe that little cat could have so many. Mama rests . 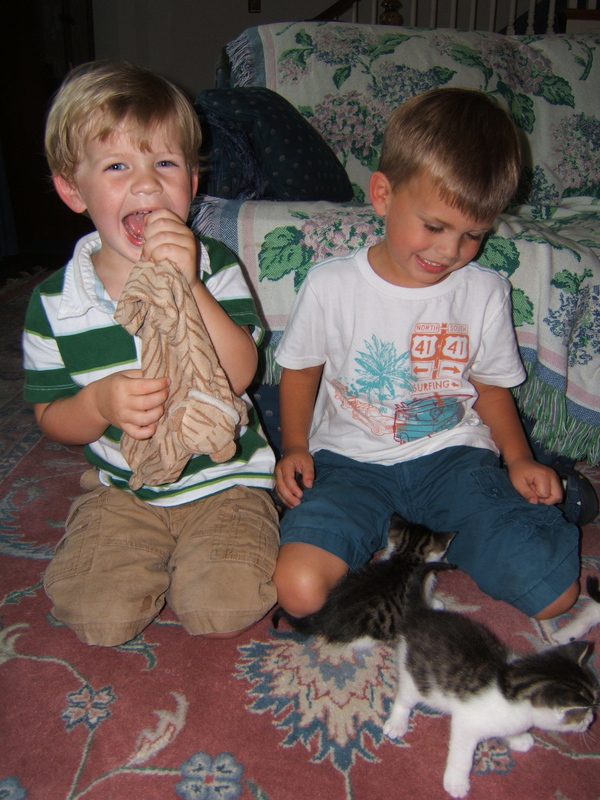 . .
As they grew older, I couldn’t resist continuing with setting up vinyetts with a kitty at center stage. She not heavy, she’s my sister. 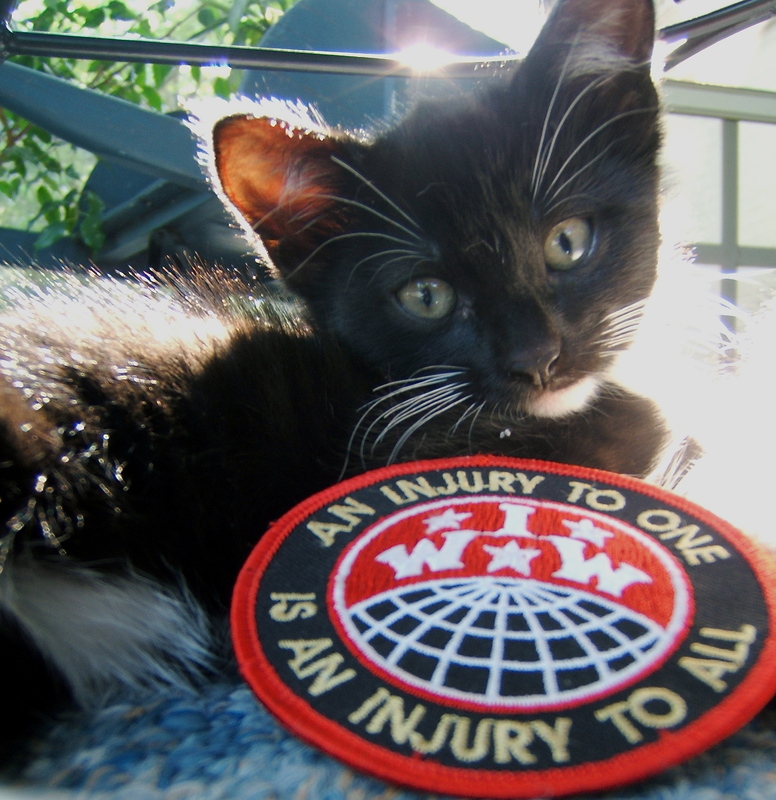 “Inky” became our mascot for the IWW. Then wondering at the wider world beyond, we knew the time had come for kitties to leave us. We found wonderful homes for all . . .
With Alec and Antone and family . . .
Kara and Ariella and family . . .
And we kept Mama and “Sweetie Bumpkins” . 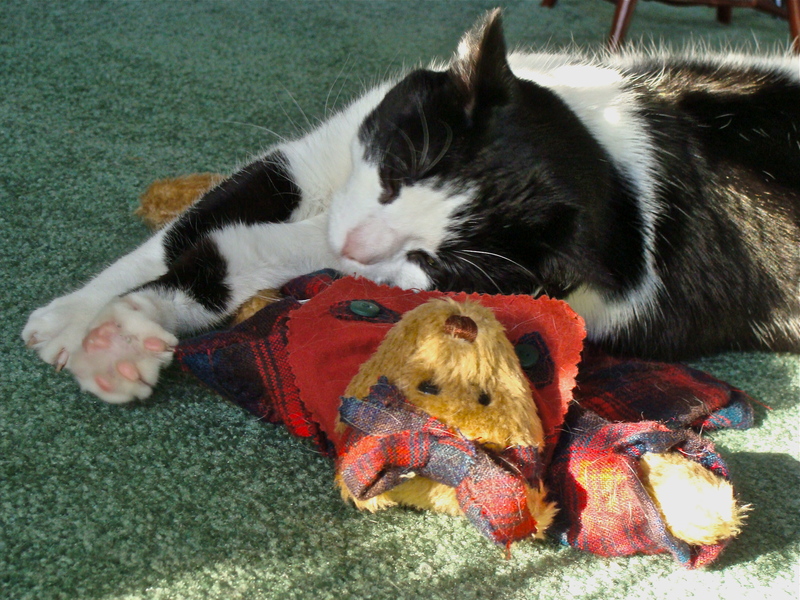 . . who likes to sleep with her bear. Adorable! I’m so glad you posted this, Mom! Way to go for happy endings!